The natural magic of grazing at the Table Mountain Ecological Reserve in Butte County is made possible by running cattle in targeted areas for carefully planned periods of time, reported Ashiah Scharaga in the Chico News & Review. "If we reduce the amount of vegetation that is there through livestock grazing, we can reduce the amount of fuels that would be available to help a fire spread and carry and build up intensity," said Tracy Schohr, UC Cooperative Extension livestock and natural resources advisor in Butte, Plumas and Sierra counties. Targeted grazing, Schohr said, also keeps down grasses, weeds and invasive species, serving as an element in the land management "toolbox." 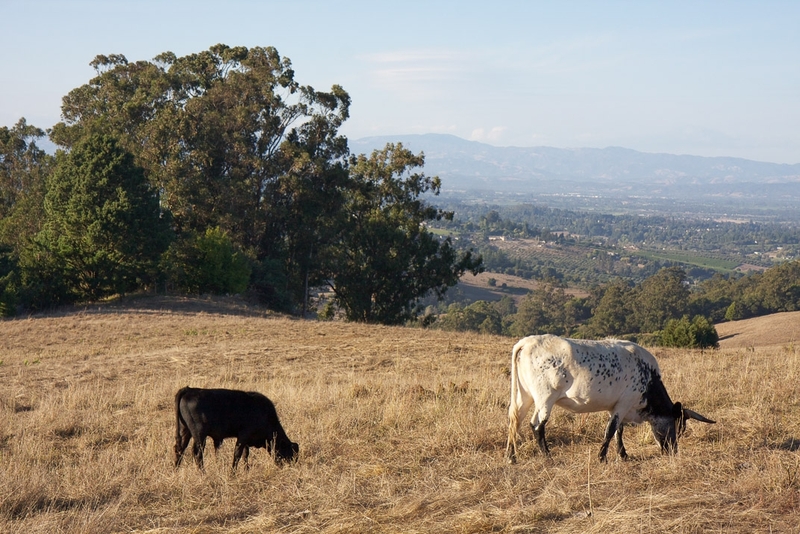 "If cattle were not actually on Table Mountain Ecological Reserve, essentially those invasive species would choke out those native plants, and they wouldn't be there," Schohr said. In the past, grazing was considered destructive, however, perspectives have changed with fire science research. One such researcher is Kate Wilkin, the fire science and natural resources advisor for UCCE in Butte, Yuba, Sutter and Nevada counties. Wilkin said that there has been a long history of grazing in the West, dating to the 1700s. Livestock historically overwhelmed the environment, causing degradation to wetlands and meadows especially. Using animals in a targeted way, however, can reduce fire risk without destroying the natural landscape. Schohr and Wilkin will host a day-long Irrigated Pasture and Annual Rangeland Management Workshop May 31 at the Chico State University Farm. Targeted cattle grazing can reduce fire risk and help maintain natural resources.